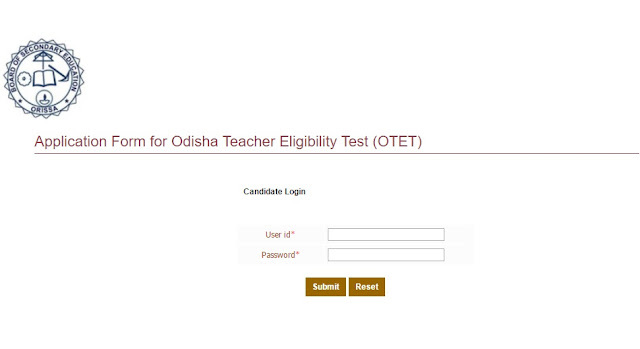 OTET Notification 2017: Board of Secondary Education, Odisha, Cuttack has announced the dates for Odisha Teachers Eligibility Test. The 1st OTET 2017 will be held on Monday, 25th September 2017. In the first seating which will be from 10 AM to 12.30 PM, paper 1 will be held, and in second seating from 2 pm to 4.30 PM, paper 2 will be held. Almost a year ago, the 2nd OTET 2016 was held which witnessed a huge participation from teaching aspirants. Candidates can fill their application forms from 8:00 am 23 Aug 2017 to 06 Sep 2017 11:45 pm.The Candidates can fill their application forms from 8:00 am on 23rd August 2017 to 6th September 2017, 11:45 pm.To make it easy for anyone to apply, the process is completely online at www.bseodisha.ac.in. In order to apply, one has to visit the website between the given dates and fill details in the form, pay the fee, and submit it. Candidates can submit their application form only through online mode.The payment of fee can be done either online or offline mode through SBI Collect. The application fee for SC and ST candidates is Rs 300, whereas it is Rs 500 for others. Netbanking, ATM card, cash payment through challan are the options available to pay the fee of the exam. One can appear in only out of the two papers. If a candidate applies for both the papers then the board will cancel his candidature.